The issues of technology and uncertainty are very much at the heart of the policy debate of how much to control greenhouse gas emissions. The costs of doing so are present and high while the benefits are very much in the future and, most importantly, they are highly uncertain. Whilst there is broad consensus on the key elements of climate change science and agreement that near-term actions are needed to prevent dangerous anthropogenic interference with the climate system, there is little agreement on the costs and benefits of climate policy. The book looks at different ways of reconciling the needs for sustainability and equity with the costs of action now. Presenting a compendium of methodologies for evaluating the economic impact of technological innovation upon climate-change policy, this book describes mathematical models and their predictions. The goal is to provide a practitioner’s guide for doing the science of economics and climate change. Because the assumptions motivating different problems in the economics of climate change have different complexities, a number of models are presented with varying levels of difficulty: reduced-form and structural, partial- and general-equilibrium, closed-form and computational. A unifying theme of these models is the incorporation of a number of price and quantity instruments and an analysis of their respective efficacies. This book presents models that contain structural uncertainty, i.e., uncertainty that economic agents respond to via their risk attitudes. 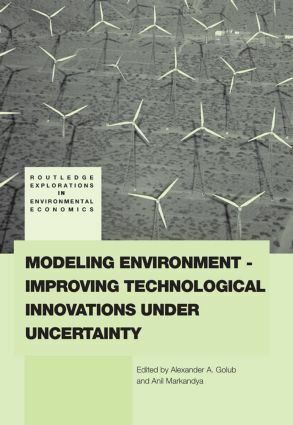 The novelty of this book is to relate the effects of risk and risk attitudes to environment-improving technological innovation. Does the Kyoto Protocol cost too much and create unbreakable barriers for economic growth?